David Fitzgerald, Clare manager celebrates with Saoirse Bulfin following the All-Ireland senior hurling final replay against Cork at Croke Park. Photograph by John Kelly. 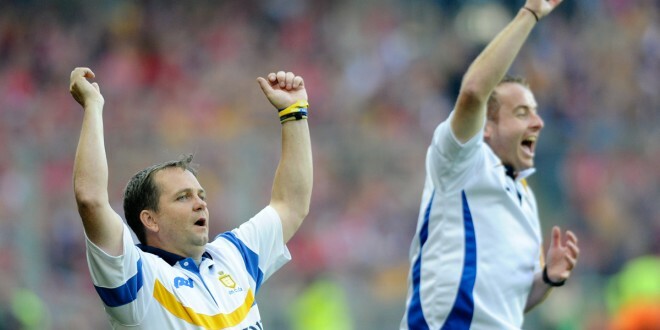 IN a detailed report to next week’s Clare GAA convention, Clare secretary Pat Fitzgerald had nailed on the head the notion that nepotism came into play when his son Davy was appointed as Clare manager in 2011, writes Seamus Hayes. “I have to admit I was taken aback by the degree of cynicism to the appointment of Davy to the Clare job initially. Opinion was clearly divided and he had to work hard to win the cynics over”, Fitzgerald says in his report which is being circulated to clubs this weekend. “I came in for a share of criticism myself, being accused of nepotism, matching the cronyism that has dogged the Irish political system over the years. But such an assertion couldn’t have been further from the truth. Davy’s appointment was based on his coaching pedigree not on family loyalties. I was subjected to a lot of stick, but I stuck to my guns and I think as events have unfolded I’ve been fully vindicated. It wasn’t a case of giving a job to my son; it was a case of giving the job to a man that deserved to have a crack at it. It boiled down to that. I firmly believed that he was good enough and was entitled to his chance. 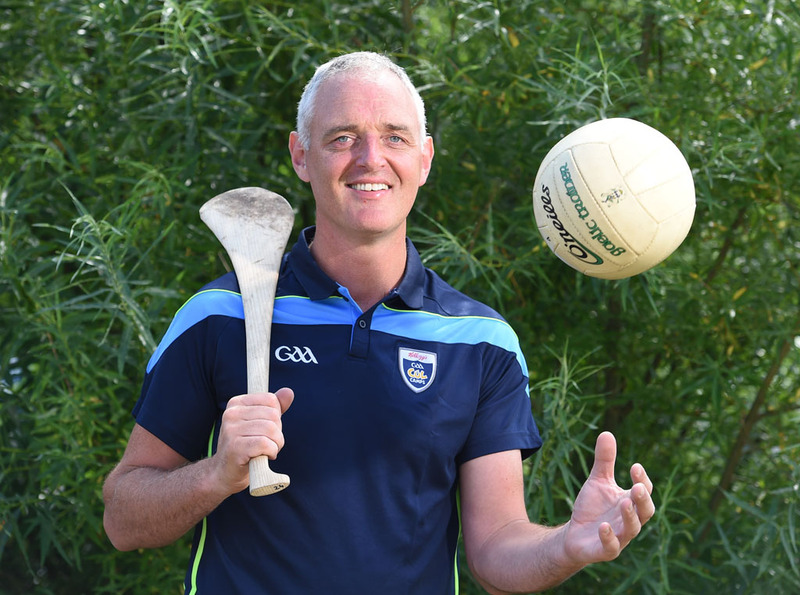 Having served an apprenticeship with Waterford, winning a Munster title and getting them to an All-Ireland final, winning Fitzgibbon Cups with Limerick Institute of Technology, he had a proven track record and was entitled to take his chances”, the secretary says. In hindsight, I’d have to admit that he was probably subjected to a more rigorous scrutiny because of who he was. But I want to nail on the head once and for all the perception that he’s my son and, consequently, is getting preferential treatment as regards team preparations. Not true; it has never been the case. 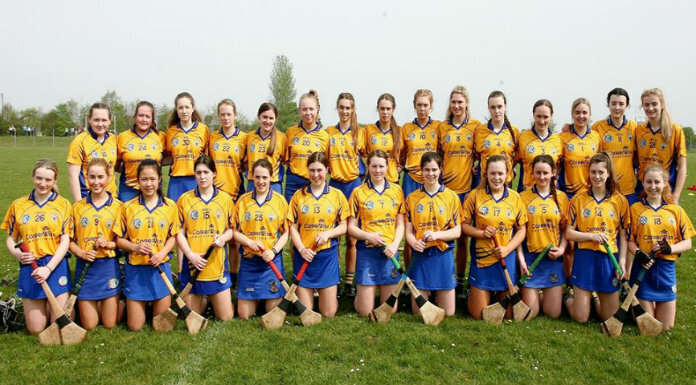 People know me as a fair and honest man; those attributes came into play with the appointment” says Fitzgerald..
“The under 21 hurlers recorded back to back All-Ireland victories for the first time with a comprehensive victory over Antrim in the final”. Thanking Donal Moloney and Gerry O’Connor “for their hard work”, he says “there is a reason for continued Optimism as many young hurlers come on stream resulting from a successful youth policy”. These are halcyon days for Clare hurling. Both management teams did Trojan work this year. Next year will present different challenges. They are sitting on a perch with all gunning to shoot them down. It makes for an intriguing 2014 championship season.